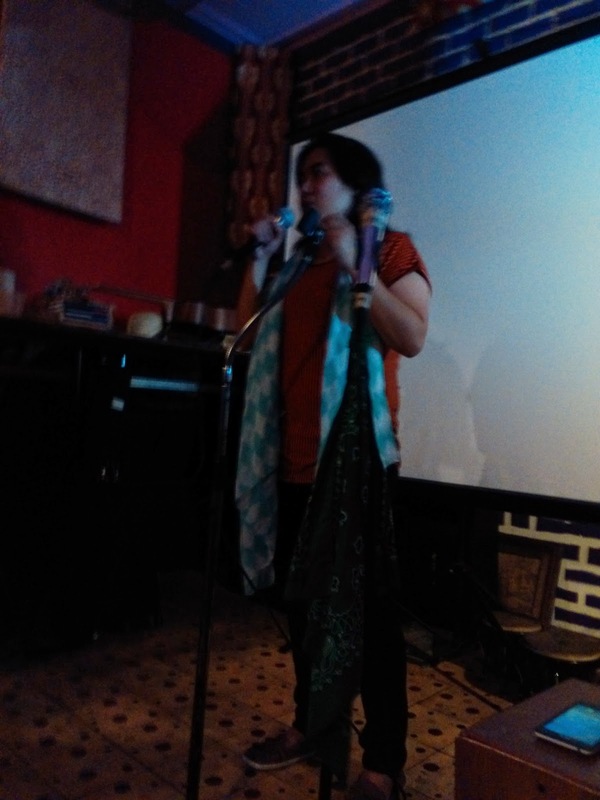 “Maraming kwentong naghihintay na maisulat”, said Manix Abrera, the creator of the well-loved Kikomachine comics, during Alab Open Mic, a night of music and poetry, held at Boho Sarapsody Bistro, Quezon City, last February 6, 2015. 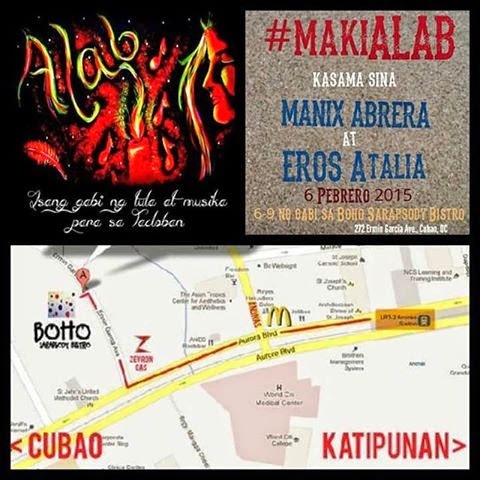 Alab was organized by a good friend and fellow LIRA member, Vins Miranda. 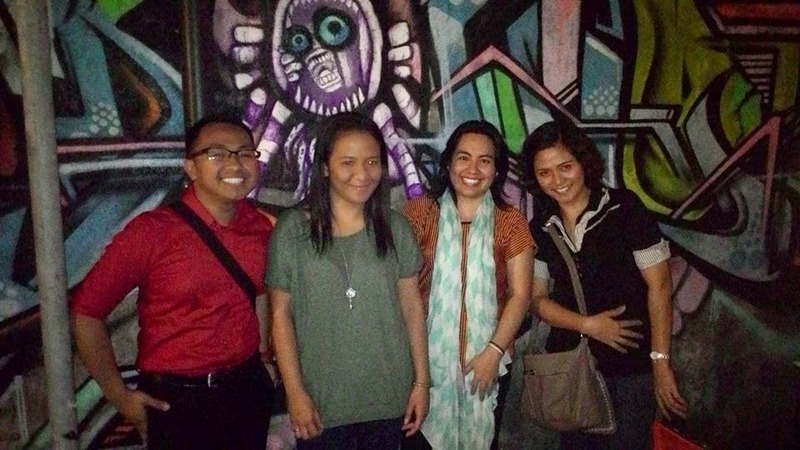 She was joined by her co-teachers and equally dedicated ladies, Dinalene Castanar and Arah Rivadeneira. 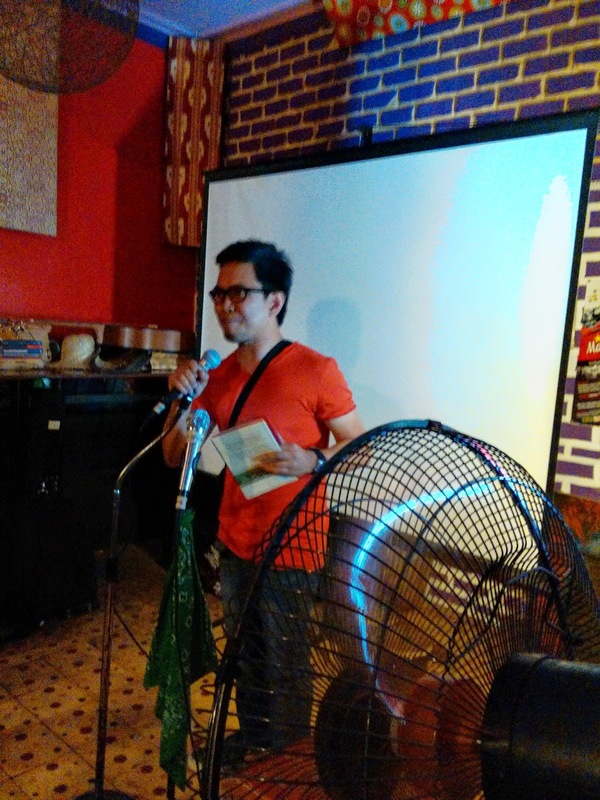 The proceeds of the said event would go to the reconstruction of the libraries in Tacloban, the city devastated by Typhoon Haiyan (Yolanda) in 2013. 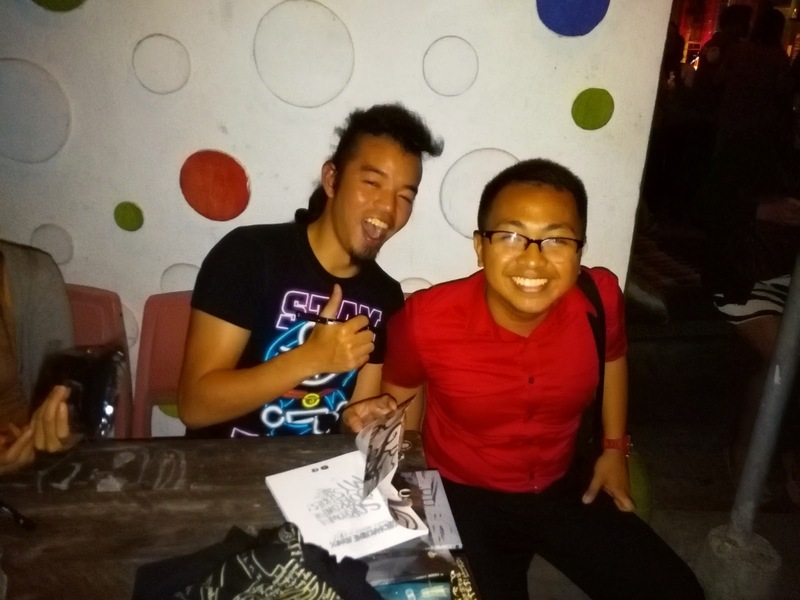 Apart from Manix Abrera, Eros Atalia (author of Ligo Na U, Lapit Na Me, and other books), Egay Samar (author of Walong Diwata ng Pagkahulog and Janus Silang), and Bebang Siy (author of It’s Raining Mens, It’s A Mens World, and other books) graced the occasion. These authors read sample of their works. 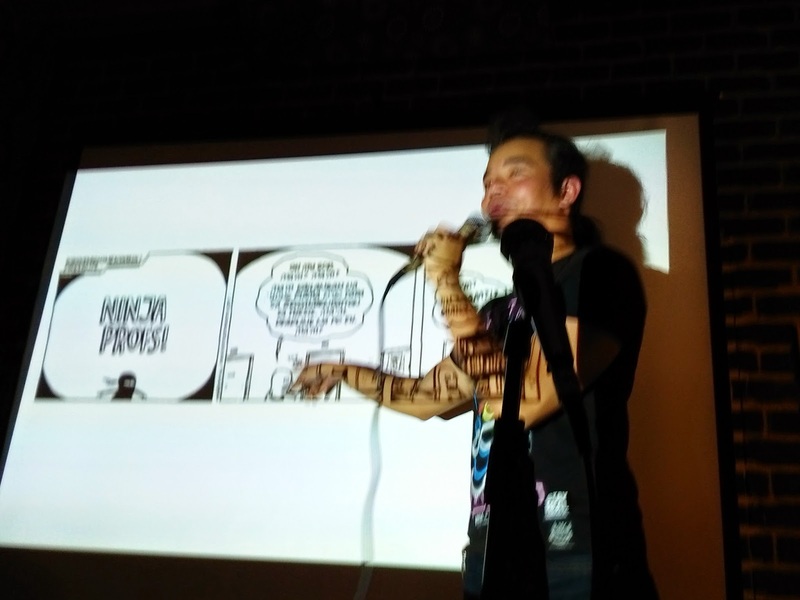 I particularly liked Manix’s sharing of how he usually came up with ideas for his comics, which was truly inspiring; indeed, the materials are everywhere and inspirations are just waiting to be written (or drawn). 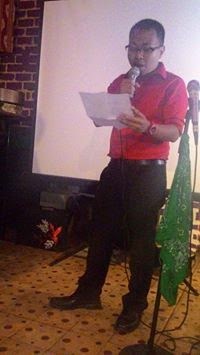 Since it was an Open Mic guests were invited to read or perform their works, be it poetry, music, or portion of stories. 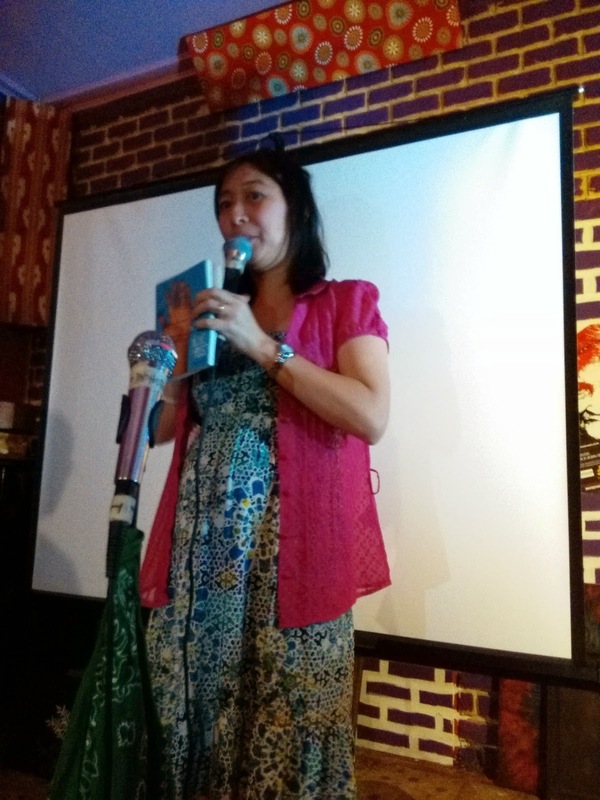 I read a poem titled “Babala”, which was about the government’s warning against the eating of dead animals found on streets after the typhoon. The event was also a book drive. The books would be sent to Tacloban for the libraries that would be built. I was also able to buy Eros's books (Taguan Pung at Manwal ng Pagpapatiwakal and his Palanca award-winning novel, Tatlong Araw, Talong Gabi), Bebang's books (the two Nuno sa Puso), and Manix's Kikomachine Book No. 7 and a glow-in-the dark Kikomachine shirt. Organizing Alab was a dream for Vins. I am very happy to be part of her project. 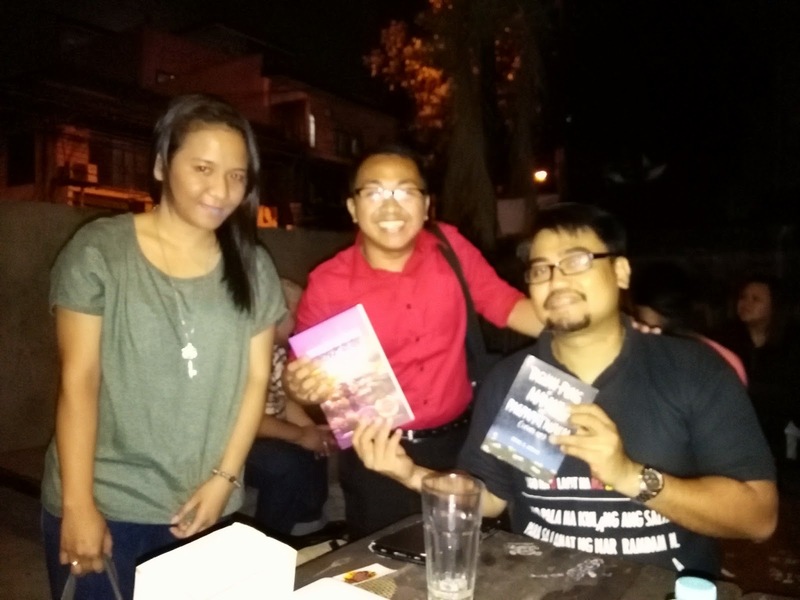 That night, I was also reunited with a fellow LIRA member, our friend Imee Rabang (who writes very good poetry! 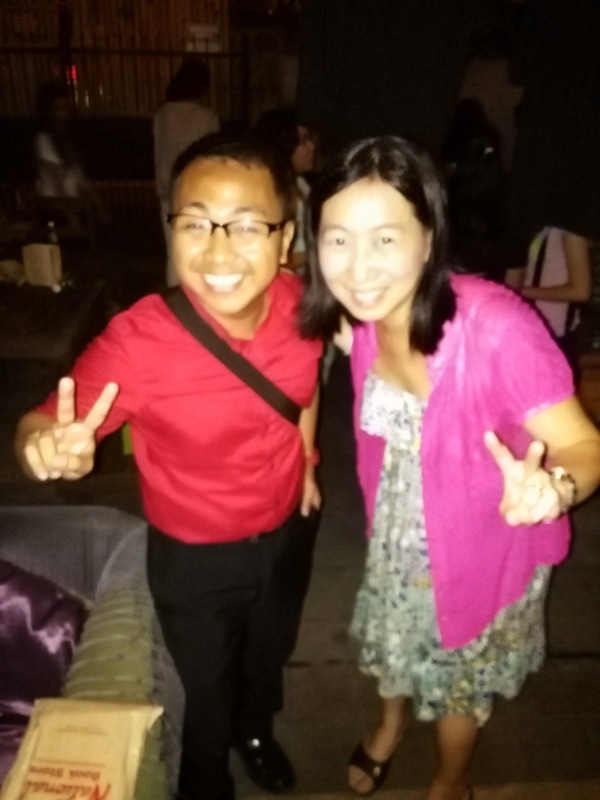 ), whom I hadn’t seen for 4 years! In the next Alab events, I would be helping Vins to promote her advocacy.